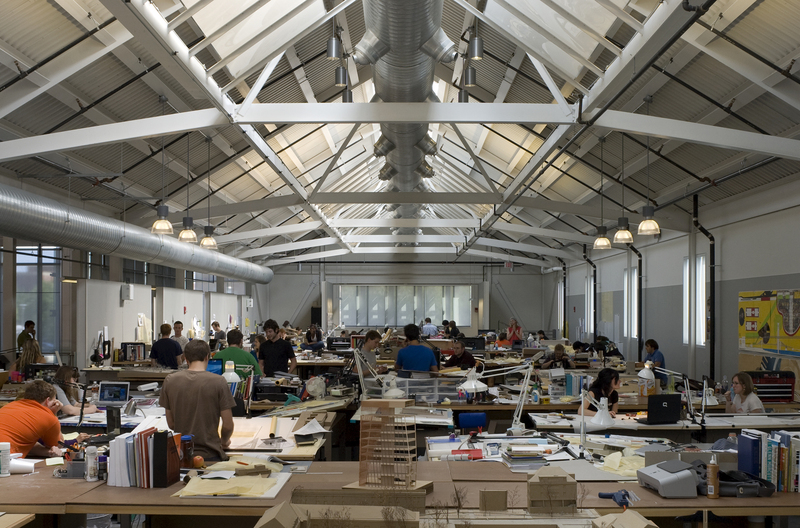 The Donald W. Reynolds School of Architecture is a marriage of new and old, combining the renovation of the historic ca. 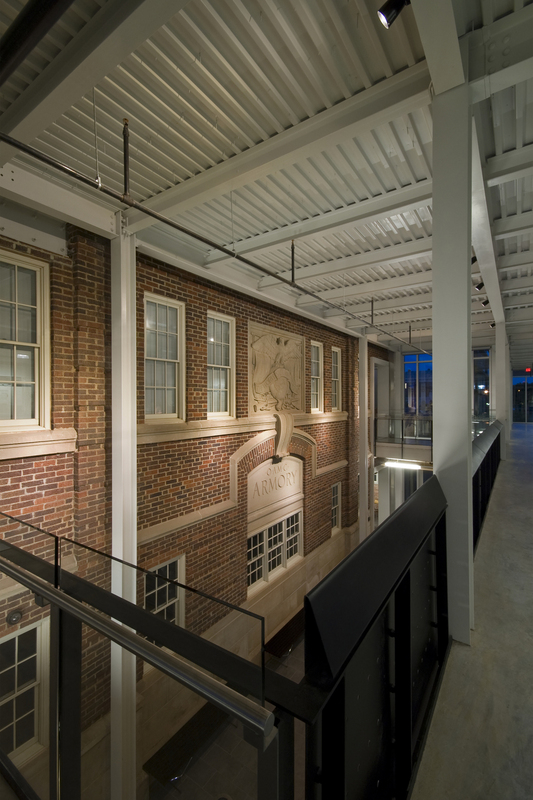 1918 gymnasium and armory with new spaces, doubling the size of the existing facility. 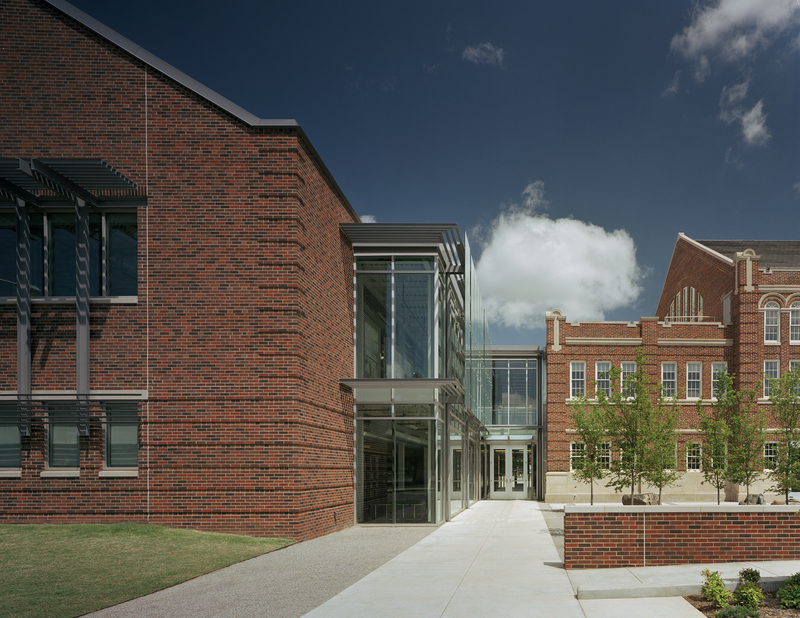 The site is in a historically sensitive context and the new construction, in the form of two new flanking wings added to the renovated existing building, is designed to respect and enrich the campus context by using common materials, sympathetic massing and plan configuration, and exterior fenestration similar in texture to the surroundings, while not attempting to mimic the historic architecture. The massing of the two new wings brings focus to the historic south façade and portico of the existing building where the portico dominates the composition and is re-established as the main entry to the facility. 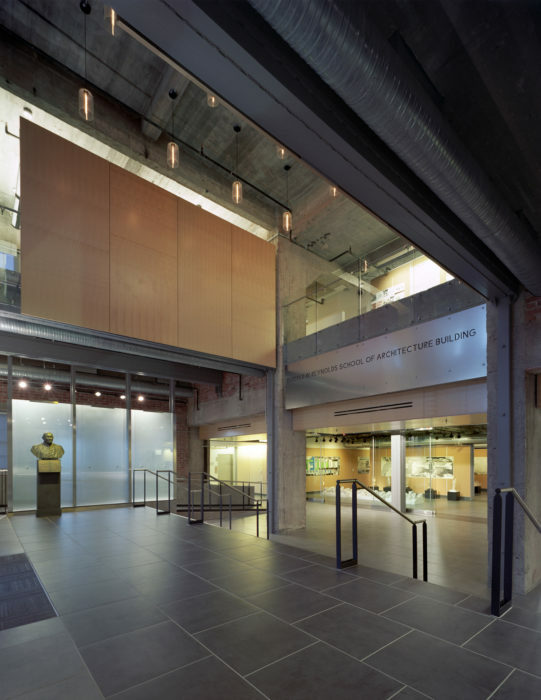 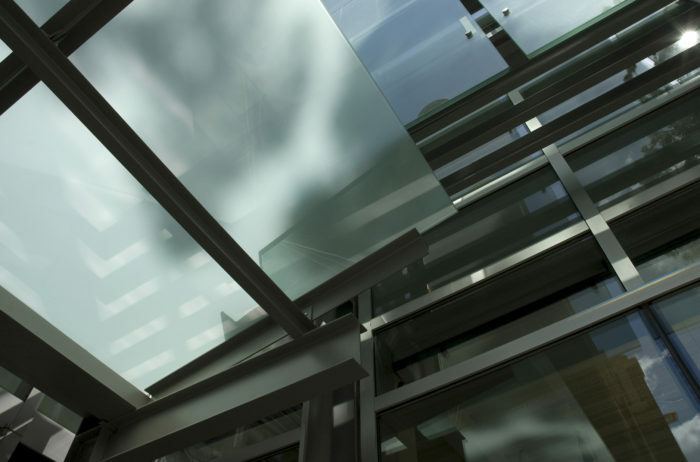 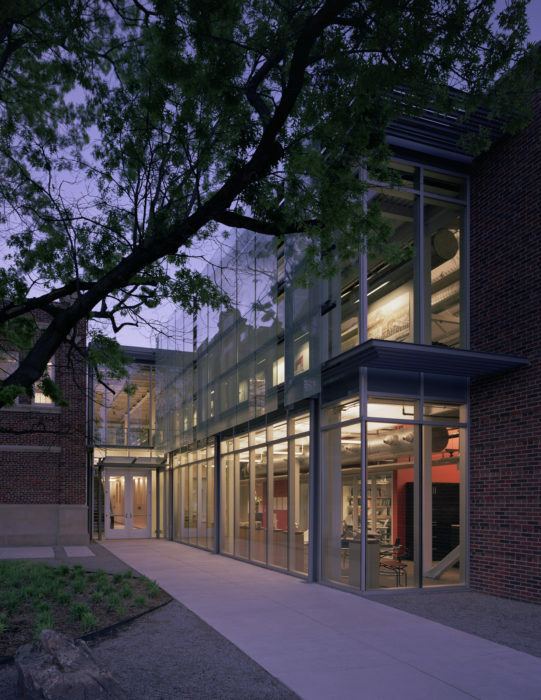 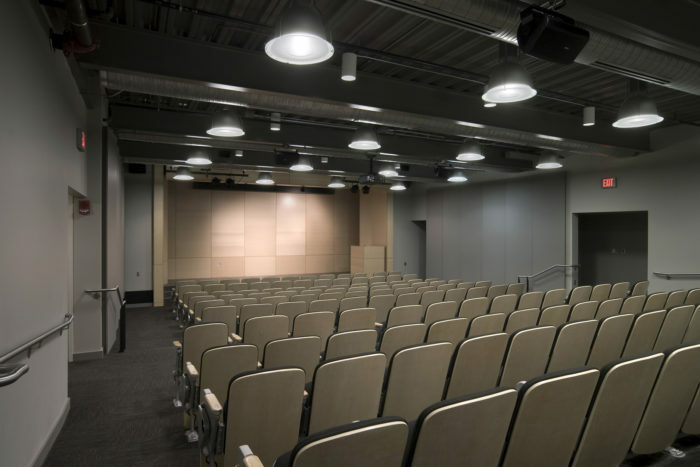 The facility houses classrooms, studios, faculty offices, the Cunningham Architecture library and a gallery which opens up to a partially enclosed courtyard. The expansion and renovation of the architecture building retains the warmth and charm of the open studio concept of the existing building, while creating new space that accommodates technological innovations. 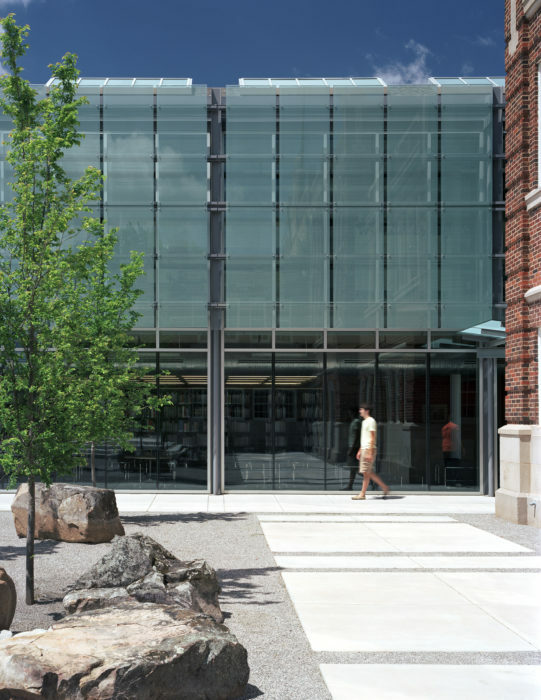 The completion of the project coincided with the School of Architecture’s Centennial Anniversary in the spring of 2010. 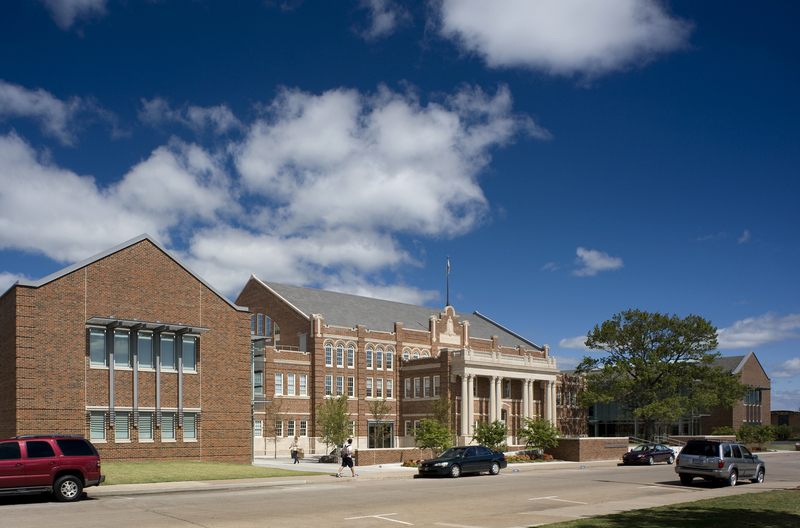 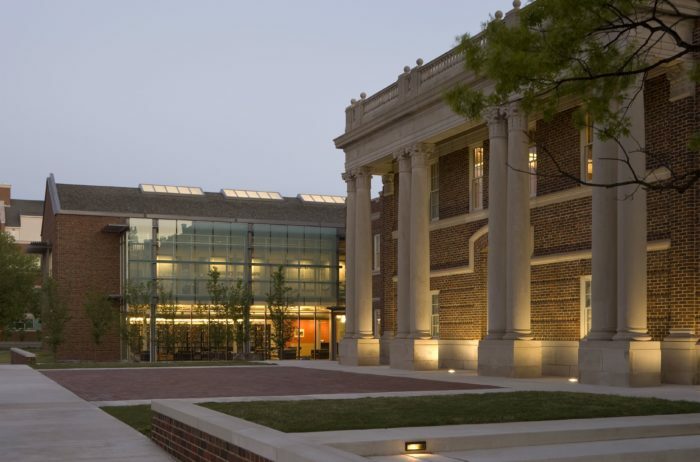 The project received an Honor Award in 2012 from AIA Central Oklahoma.